White Peacock Garden Chair A beautifully ornate garden Chair Painted white, this is sure to wow your garden party guests! 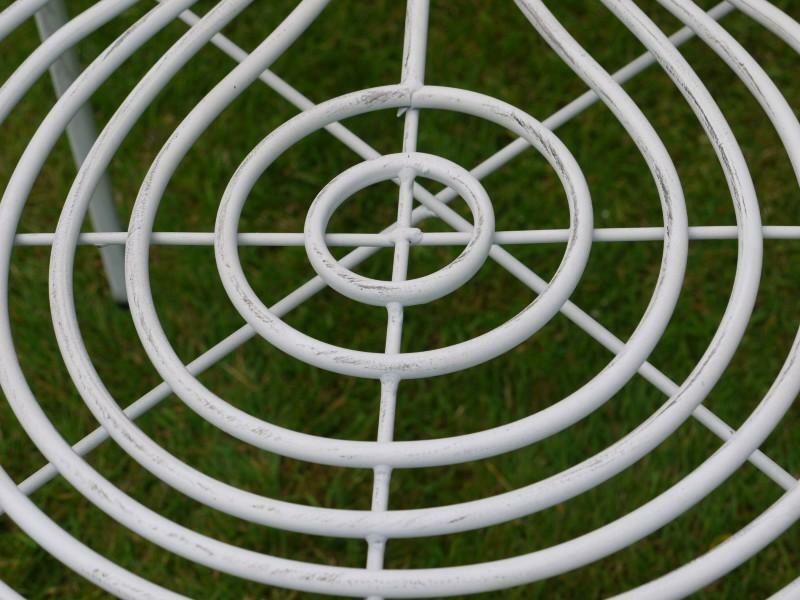 Painted white, this is sure to wow your garden party guests! This has the finished effect of a peacock's tail. This year's summer MUST HAVE! 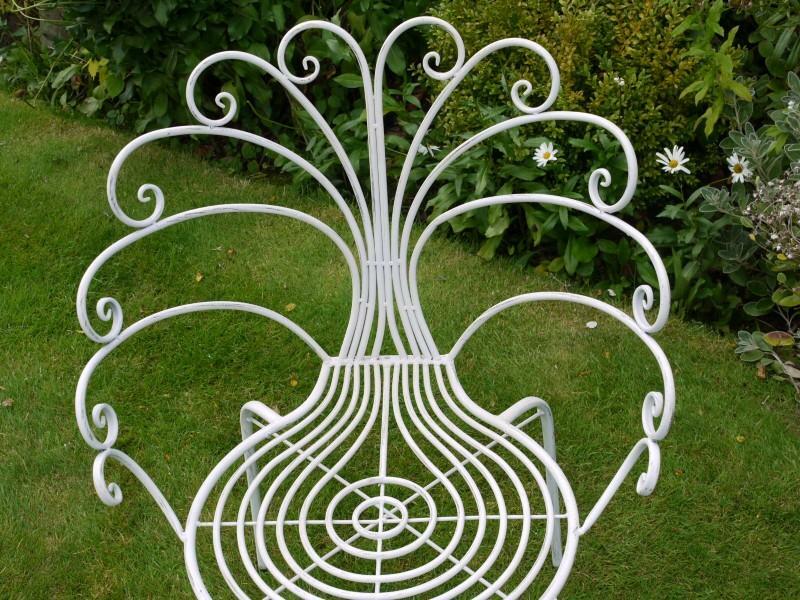 From the gardens and outdoor collection, this Garden Chair is made from metal, painted white, and designed to look like a peacock's tail. 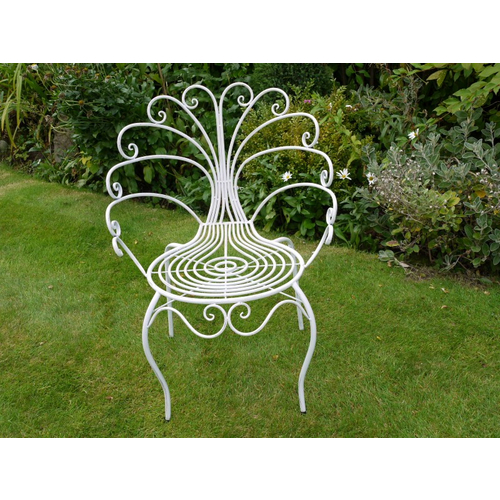 It stands on shaped elegant legs and would be a statement piece in your garden. Its dimensions are 65 cm x 89 cm x 52 cm (width x height x depth).